A typical body-shape stereotype of being overweight relates to the assumption that you are unhealthy, and if you are thin, you are healthy – but this is merely becoming a thing of the past! However, disregarding the new ‘strong is the new skinny’ revolution and global appreciation of the womanly curve, genetic ‘skinniness’ can still be harmful to the he alth of an individual. The medical term for this is “MONW” – or metabolically obese normal weight. It means you are under lean but over fat – not enough muscle and too much fat (specifically belly fat.) That’s not to say it’s a person’s fault – each person’s genetics are completely different – you just need to tailor your lifestyle – specifically your dietary intake – around your body type to achieve your ideal physique! ✓ They do very little or no exercise and the exercise tends to be more cardio based. 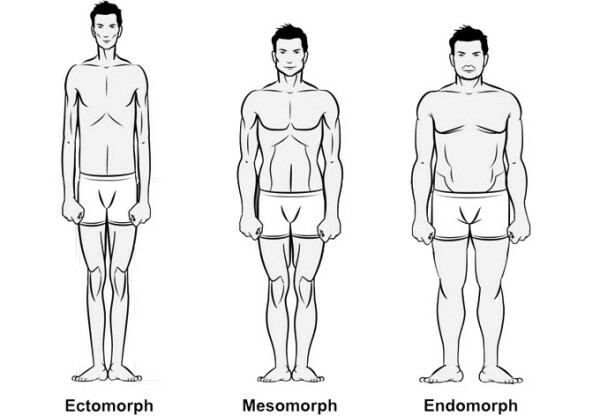 So… How can skinny-fat ectomorphs lose the fat? Eat regular balanced meals and do NOT skip breakfast. Base meals on good sources of protein (lean meat, fish, poultry, eggs, nuts and seeds) and healthy fats (coconut oil, olive oil, avocados) with plenty of vegetables and some fruit (berries preferably). Cut calories by eliminating non-essential fats such as butters, salad dressings, removing skin from chicken and choosing leaner meats (fillet over rib eye). When eating carbohydrates chose whole grains over white, and slower digesting carbs (sweet potatoes and legumes). Researchers from Laval University completed studies on the impact of endurance vs high intensity training on a group of 13 men and 14 women between 18 – 32. Of the 27, 17 individual completed a 20 week endurance training program and the other 10 completed a 15 week HIIT program. Whilst the research suggested the endurance group on average burnt twice as many calories (120.4 mega joules) compared to the HIIT group (57.9 mega joules), muscle biopsies and body fat measurements revealed the HIIT program resulted in greater fat loss and an increased metabolism. Penn State University researchers put overweight people on a reduced-calorie diet, and divided them into three groups—one that didn’t exercise, another that performed aerobic exercise 3 days a week, and a third that did both aerobic exercise and weight training 3 days a week. Each group all lost around 21 pounds, but the lifters shed six more pounds of fat than those who did not lift. The reason for this is that lifters’ loss was almost pure fat whilst the others lost fat and muscle. Other research on dieters who don’t lift shows that, on average, 75 percent of their weight loss is from fat, while 25 percent is from muscle. Muscle loss may drop your scale weight, but it doesn’t improve your reflection in the mirror and it makes you more likely to gain back the flab you lost. However, if you weight train as you diet, you’ll protect your hard-earned muscle and burn more fat. Whilst sleeping will not directly make you will lose weight, if you are sleep-deprived, meaning that you are not getting enough minutes of sleep or good quality sleep, your base metabolic rate will decrease. Exactly how lack of sleep affects our ability to lose weight has a lot to do with our nightly hormones. The two hormones that are key in this process are ghrelin and leptin. Ghrelin is the ‘go’ hormone that tells you when to eat, and when you are sleep-deprived, you have more ghrelin. Leptin is the hormone that tells you to stop eating, and when you are sleep deprived, you have less leptin. “Skinny Fat” Ectomorph’s needn’t struggle putting on muscle mass or burn fat – it’s simply a matter of tweaking your diet and training to achieve maximum results. Science Short | Is AMPK The Key To Fat Loss? Detox Diets For Weight Loss | What Are They? Do They Work?